Linda Crampton is a biology teacher, writer, and long-time pet owner. She currently has dogs, cats, and birds in her family. 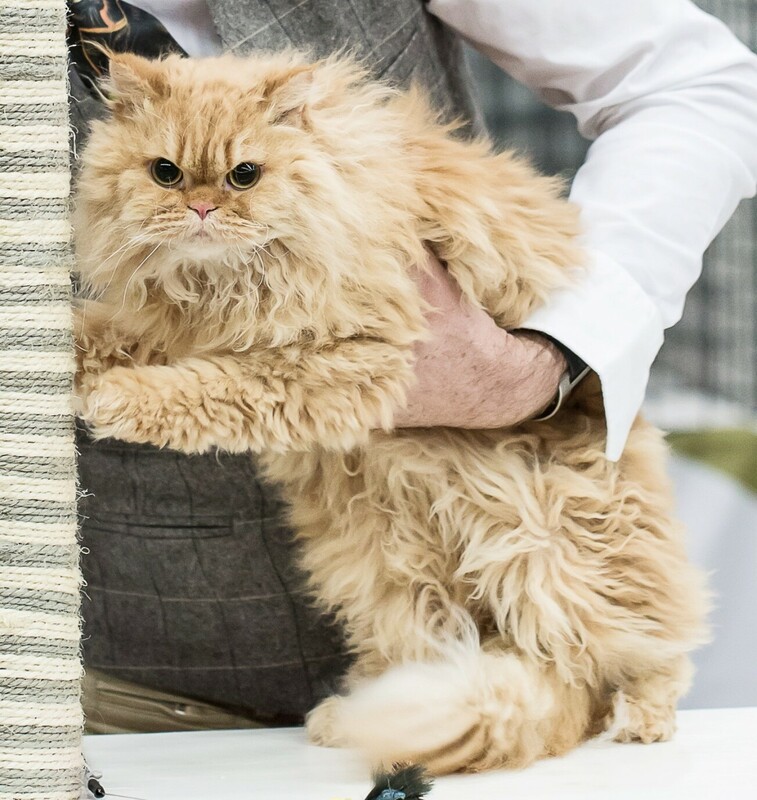 The Selkirk Rex cat has a curly and very interesting coat that often looks as though it needs a good brush. Representatives of the breed are typically friendly and even cuddly cats. They are generally calm animals that are playful without being hyperactive. 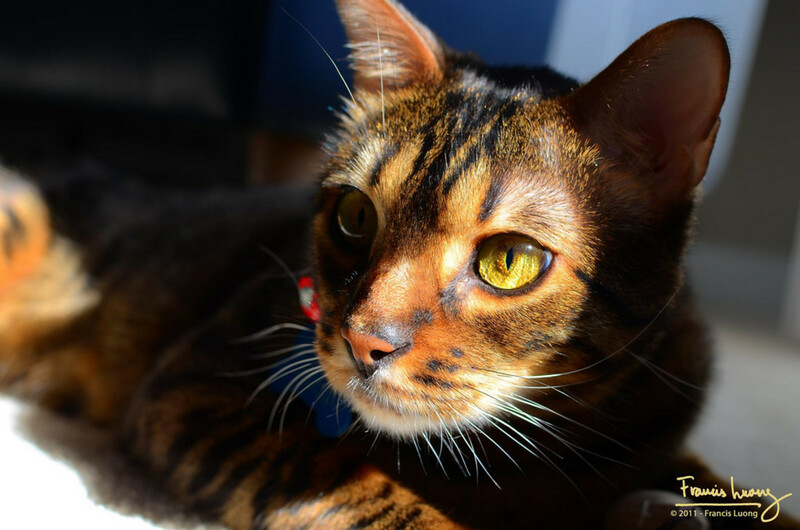 Their unique coats and pleasant personality make the cats attractive as both pets and show cats. 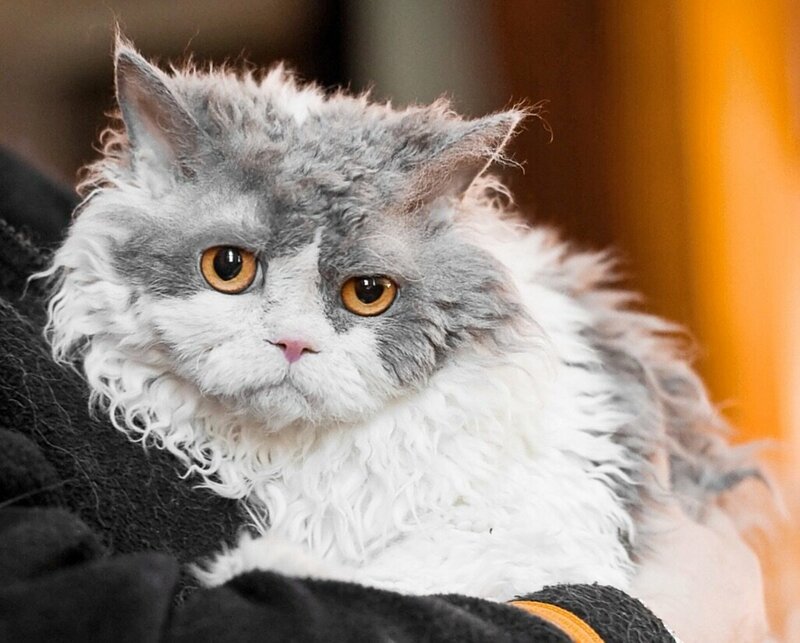 Pompous Albert is a Selkirk Rex cat with an unusual feature. 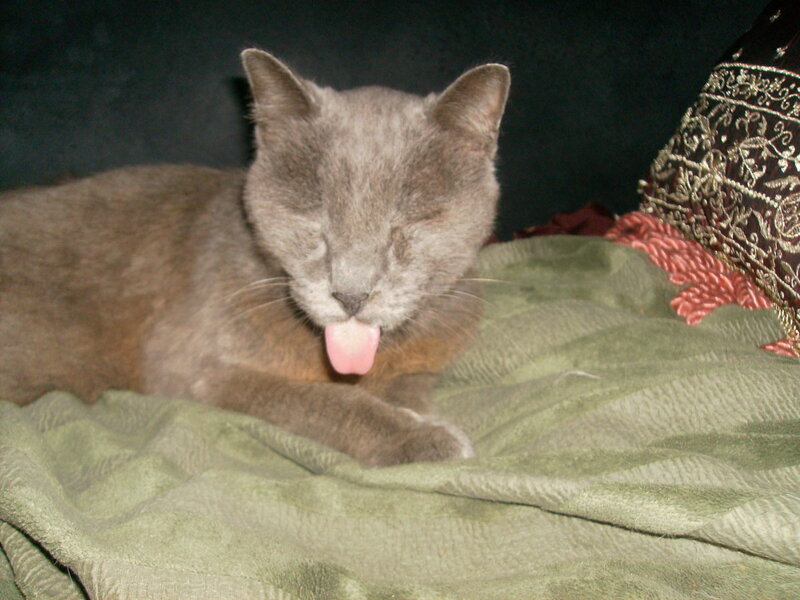 He's light grey in colour and has the curly hair of his breed, which is why he's sometimes known as a sheep cat. He also has an almost permanent scowl on his face and looks very angry. His untidy grey hair reminded his owners of Albert Einstein, so they named him after the famous scientist. Pompous Albert is an Instagram star and currently has 137K followers. The number of followers is increasing rapidly. 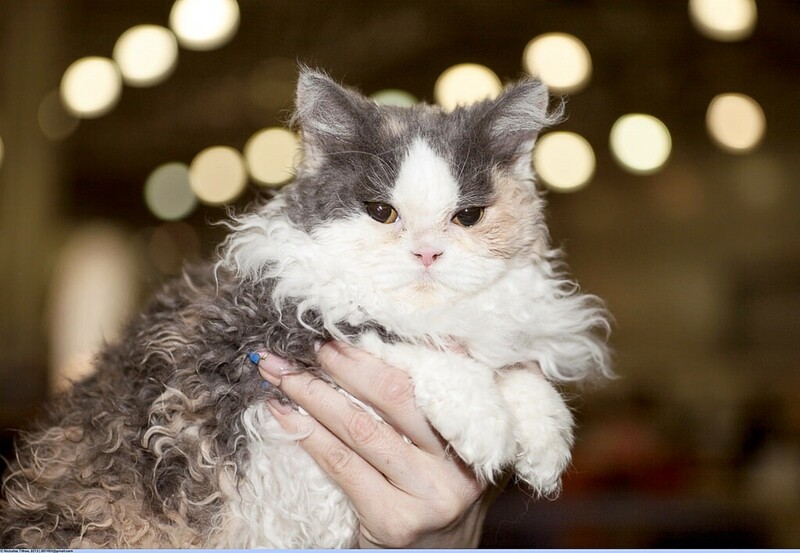 The Selkirk Rex breed arose from a kitten born in a Montana animal shelter in 1987. The kitten had curly hair. She was adopted by Jeri Newman, a lady who bred Persian cats. The adopted cat was given the interesting name of "Miss DePesto of Noface", or Pest for short, because she was always pestering for attention. Pest was the only kitten in her litter who had curly hair. Her mother also had straight hair. Since the identity of her father was a mystery, it was unknown whether he had straight or curly hair. Still, Jeri suspected that a new rex mutation had arisen in the curly kitten. A mutation is a change in a gene. Rex mutations produce curly hair in animals. When Pest reached adulthood, she and Jeri's black Persian male (PhotoFinish of Deekay) were mated. Three of the six kittens that were produced had curly hair like their mother. The existence of the Selkirk Rex gene had been confirmed. 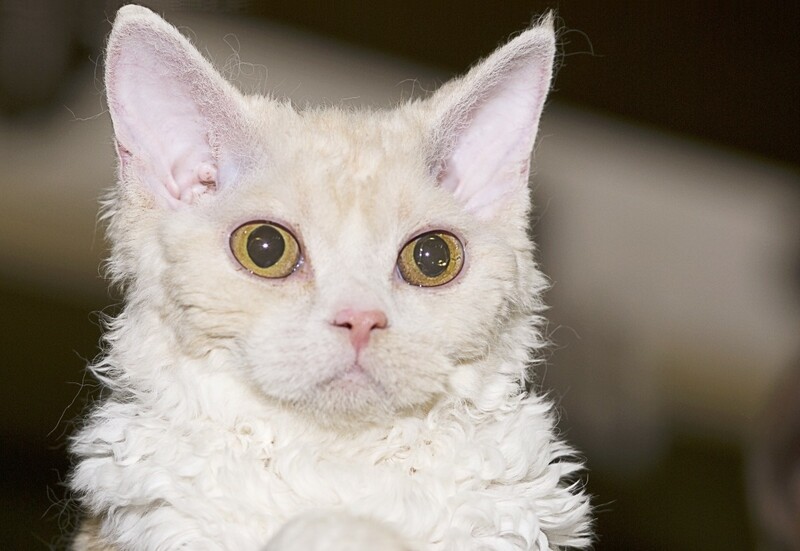 In a very rapid progression of events after the breed's first appearance, TICA (The International Cat Association) accepted the Selkirk Rex as a new breed in 1990 and declared that it was eligible for competition in 1994. 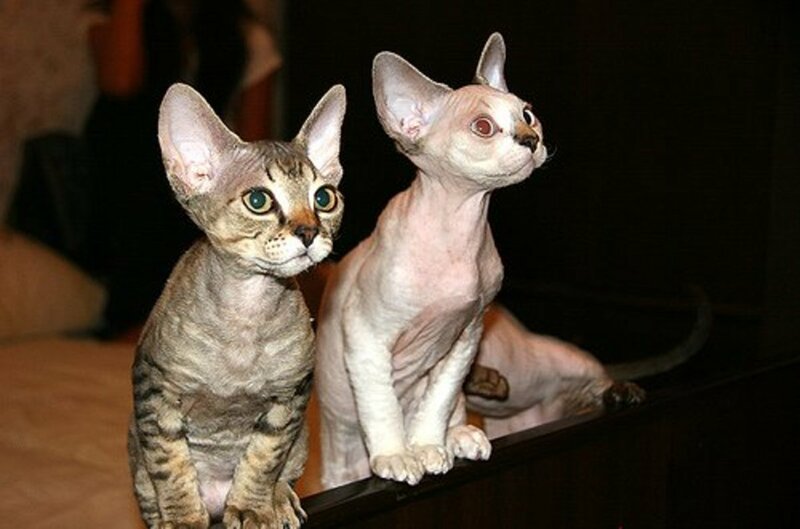 The breed is known as a "Selkirk" Rex after the family name of Jeri's stepfather. The Selkirk Rex is a medium to large cat with a soft coat. It comes in both a short-haired and a long-haired form. The curls are more obvious in the cats with long hair. The short-haired varieties have a plush coat. The long-haired varieties typically have an untidy appearance. TICA likens the short-haired cats to teddy bears and the long-haired cats to sheep. 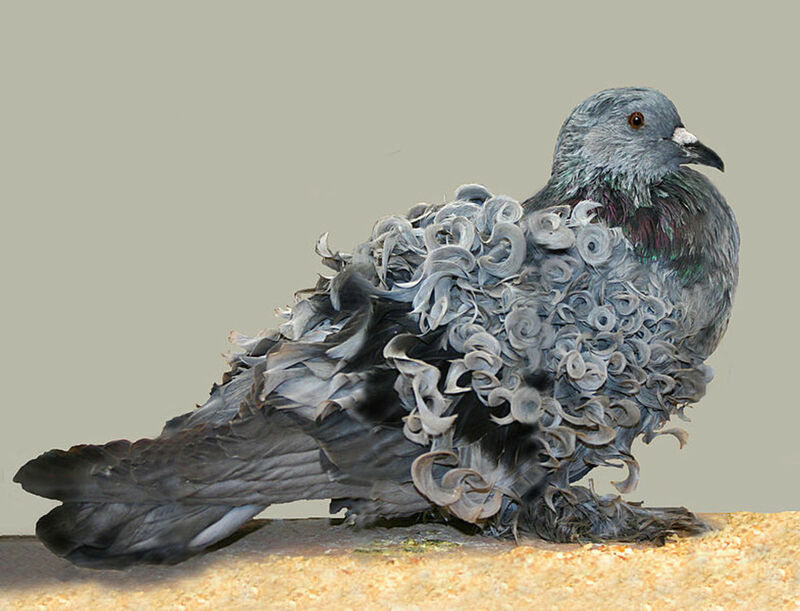 In both forms of the breed, the curls or waves are loose and appear to be arranged in random clumps instead of in an orderly and regular fashion. All three hair types in the coat—guard, down and awn hairs—curl. Even the whiskers are curly. While the overall impression of the cat is that it has a curly coat, the curl is stronger in some parts of the body than others. Selkirk Rex cats have stocky, muscular bodies with big bones and large paws. They come in a wide variety of colours and patterns. They are often said to be sweet, affectionate, and easygoing in nature. Although they are usually calm cats, this doesn't mean that they are passive. They are curious about what is happening around them and like to explore their surroundings. The breed is tolerant and generally gets on well with children and with dogs. Of course, as in any other cat breed, these relationships depend on the cat being treated gently by the children and dogs. There is a limit to any cat's tolerance. A gene is a segment of a DNA molecule that controls a particular characteristic of an organism. A single DNA molecule contains many genes. The DNA of an organism is located in the nucleus of its cells. The gene for a particular characteristic comes in different varieties that are technically known as alleles. For example, one allele of a gene that controls hair appearance causes a cat to have curly (rex) hair while the other causes it to have straight hair. Alleles may be dominant or recessive. Dominant alleles are active even when a recessive allele is present. Recessive alleles are active only when no dominant allele is present. In the Selkirk Rex, the allele for curly hair is dominant while the allele for straight hair is recessive. If a Selkirk Rex cat has two dominant alleles for the rex feature it's said to be homozygous. If it has one dominant allele for the rex feature and one recessive allele for straight hair it's said to be heterozygous. A cat with two recessive alleles for straight hair won't have the rex feature. 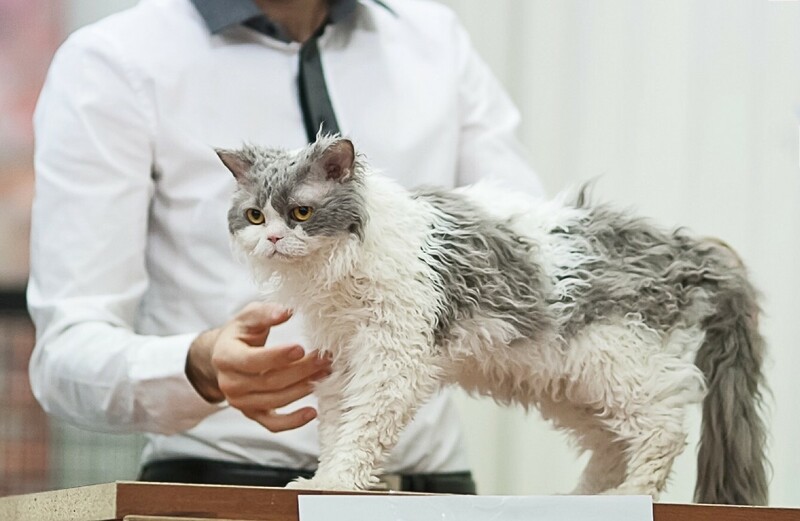 Owners can order a DNA test from a cheek and gum swab of their Selkirk Rex to determine whether it's homozygous or heterozygous. Although it might seem that being homozygous is the better condition, heterozygous cats have some desirable body features compared to homozygous ones. This observation is due to the fact that genes and alleles don't work in isolation in the body and can indirectly produce unexpected effects. Each egg or sperm cell is given only one allele for hair appearance. When an egg and sperm join to make the first cell of the new kitten, that cell and the ones that it produces to make the kitten's body will have two alleles for hair appearance. If either the egg or the sperm that make a kitten contain the rex allele—or if they both do—the kitten will have curly hair. If the egg and sperm cells both contain the recessive allele for hair appearance, the kitten will have straight hair. In everyday language, the word allele is often dropped and is replaced by "gene". 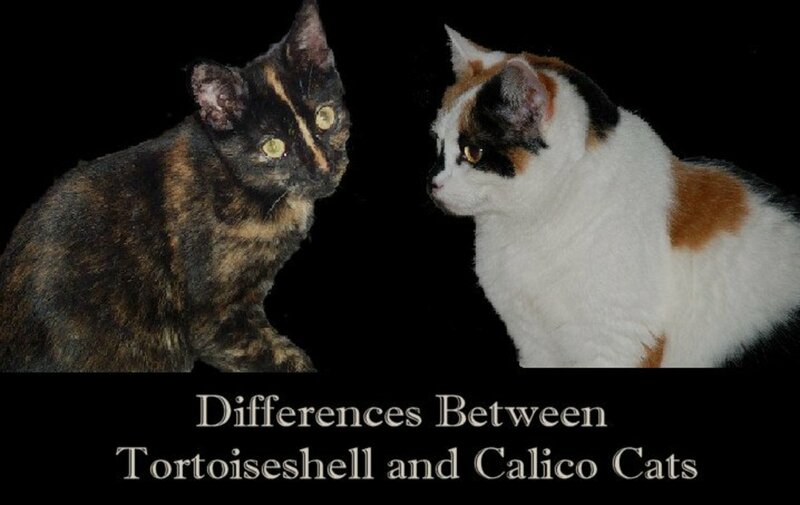 People involved with cats frequently talk about the rex gene instead of the rex allele. Rejected show cat, but I'll show them. It often seems to me that Selkirk Rex cats have a sad and serious expression on their faces, despite their genial personality. Pompous Albert's expression goes a step further, however. At times, Albert opens his eyes wide as though he's surprised by something, but generally his eyes glower, apparently very suspiciously. To some people his expression has a suggestion of evil. His owners report that he has the intimidating habit of glaring in apparent anger at someone without moving. In reality, Albert has the typically pleasant personality of a Selkirk Rex. Albert is from Salt Lake City in Utah and is owned by Mike and Susan Singleton. He appears to be a relatively small cat and is around eight years old. The lifespan of a Selkirk Rex is ten to fifteen years. Many representatives of the breed live for thirteen years or more if they are well cared for. Albert spends his days as an office cat. His fame is due not only to his expression but also to the humorous, creative, and often sarcastic captions created by whoever posts his photos on Instagram. The captions are written as quotes from Albert and match his expression very well. Occasionally Albert makes a serious comment about an important real-life issue, which is nice to see. Pompous Albert really is a rejected show cat. His owners (or perhaps his office coworkers) post daily photos or videos of him on Instagram accompanied by amusing captions. Albert also has a Facebook and a Twitter account. If you decide to bring a Selkirk Rex into your family, do some research to make sure that you visit a reputable breeder. Also investigate the health background of a kitten's parents and grandparents. The breeder should be able to offer advice about feeding and other aspects of cat care. The breeder and the cat's veterinarian can both be valuable sources of information. 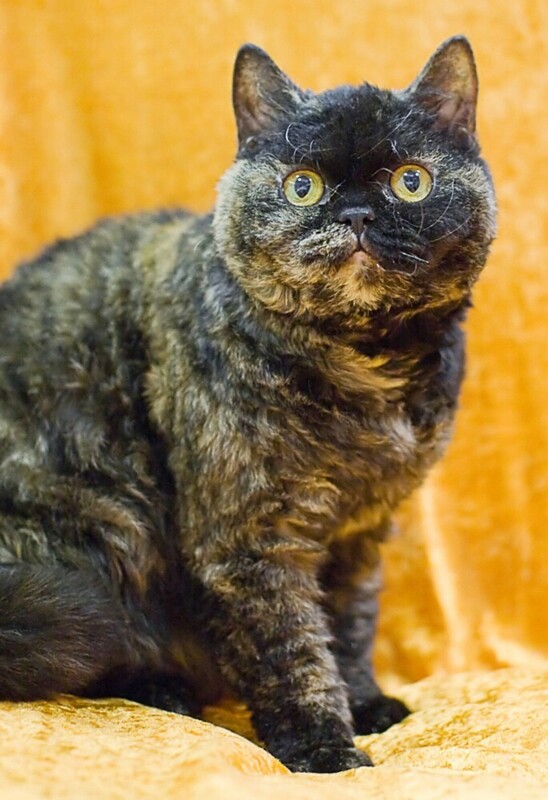 Before you actually buy a Selkirk Rex, I urge you to check with your local animal shelter. It's possible—though not very likely—that you'll find a representative of the breed there. Even if you don't discover a Selkirk Rex who has lost his or her home, you may find a cat that attracts you. The cat will almost certainly appreciate being adopted. If the plan is practical for you, you could buy a purebred cat such as a Selkirk Rex and also bring an adopted or rescued cat into your home. My family contains two purebred cats and one rescued cat. They are all wonderful additions to the family. Thank you very much, Linda. I think the cat is cute, too! It belongs to an interesting breed. Hi Linda-That cat is so funny looking, it's cute. Thanks for the great information on this unique breed of cat. Thanks for the comment, vespawoolf. It is an unusual breed of cat, but I think that it's a nice one, too. What an unusual cat! I appreciate that they have a long lifespan and their serious expression is comical. I thought this article was pretty technical with the genetic information. Well-written. Thank you! Hi, Rachel. I agree - the Selkirk Rex is beautiful! I hope your daughter and granddaughter enjoy looking at the photos if they see them. Hi Alicia, I never saw a cat like this before. I love it. It is a beautiful cat. My youngest daughter and youngest granddaughter would love it. I'll have to show it to them. Thanks for sharing all the information and videos of this cat. Larry, I'm so very sorry for the loss of your mother. I can imagine how difficult life has been for you lately. Thank you so much for making the effort to comment. Of course, everyone's experience is unique, but I know from my own experience that while the sadness of losing a parent remains, life gradually gets easier. I hope this is true for you, too. I'm back and trying to get caught up. I'm sorry for being gone. My mother passed away. You're among the few followers I'm sending this message, because I have always valued your feedback whether we agree with one another or not. I feel like I owe you an explanation for why I haven't been supporting our writing community lately. You will see this message on other people's comments, but I assure you it isn't being sent out blindly. It is only going to those who in my experience have been give and take supportive in our little community as to warrant an explanation. Hi, RTalloni. Thank you for the comment. I think that Selkirk cats are beautiful, despite their strange appearance! I like their personality, too. I hope you find a lovely cat, whatever kind it is. What a neat read! :) Thanks for this great introduction to Selkirks. I've considered what our next cat would be and you may have found him/her for us (shorthaired). Selkirks should have a nickname–The Assumption Teacher: A Living Lesson in not Making Assumptions. Enjoyed the details very much and will be back to review with the intent of remembering them better. Curly whiskers…I'm in love! That's a good point, Flourish. I wonder what happened to the adopted kitten's mother and siblings. Thanks for the visit. Although I sure love his unusual looks, I think the lady who adopted him from the shelter took advantage of him, selecting and breeding him for his curly hair in the hopes of creating a new breed. Although they probably didn't have early spay/neuter back then or in that community like they do in some places, it's a good example of why animals need to be adopted out already spayed or neutered. Hi, Deb. Thank you very much for the visit and the kind comment. I was not aware of this breed. Your material is always so interesting. Thanks for the wonderful introduction to a very unusual cat. I can't resist stroking cats (or dogs) that I meet, either! Thanks for the visit, Mel. I appreciate it. I see dozens of cats in my daily rounds, among them some unusual specimens, but have yet to come across a Selkirk. I am not a cat owner, and I am in fact allergic to them, but can't help stroking the back of a cuddly kitten. Great article! Hi, Nell. Yes, I think they got the name right, too! The Selkirk Rex is certainly an interesting breed of cat. Thank you very much for the comment. What an amazing cat with an amazing name! Pompous Albert! lol! but they got it right didn't they? on a serious note how fascinating and its interesting to see about the dna etc. I have never seen them before, so this is wonderful! Hi, Suhail. Thank you for the visit and the comment. It's interesting to hear that K2 is known as a sheep dog! 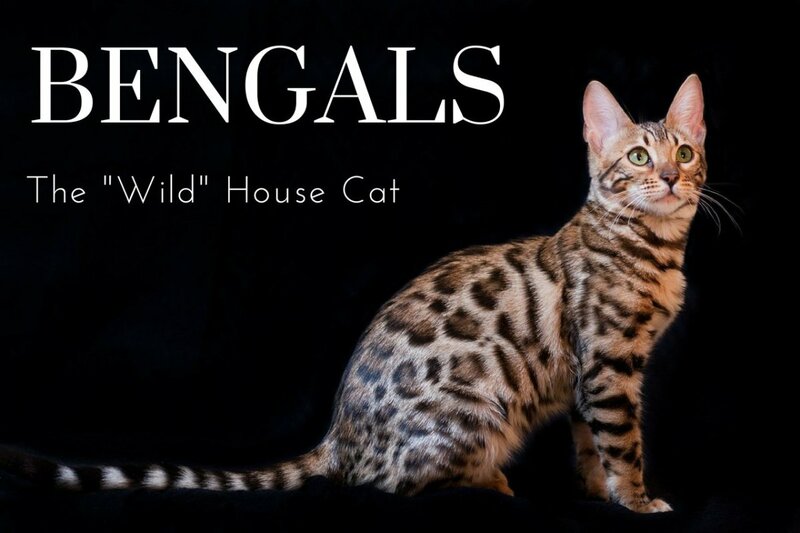 You have covered a beautiful cat breed that I had never heard of before. Interestingly, its curly coat resembles my boy K2, the Great White Kuvasz, ha-ha. That is why he is also called dog with a sheep's coat in the neighbourhood. I am going to watch some youtube videos on this breed to understand it more. Hi, Bill. Thanks for visiting. I suspect that Pompous Albert is a pampered cat, too! I hope you have a nice weekend as well. Hi Linda. I have never seen or heard about this breed of cat. How interesting. Pompous Albert may look unhappy but I'm sure he's one pampered pet. He's also beautiful. Thanks for the education. Happy a nice weekend. Hi, Peggy. Thank you for rescuing so many cats. My family has had several rescue cats over the years. All of them have been great pets. I appreciate the share, pin and tweet. You have educated me about a breed of cat of which I knew nothing. They surely do look as though they need a good brushing! Our cats and those that my family had were always rescues. None of them however had their own Facebook or Twitter accounts! Ha! Sharing, pinning and tweeting. Thank you for the comment, Faith. I appreciate your visit. I think that cats with curls are very interesting! Hi, Manatita. Thanks for visiting. Six horses would definitely be hard to take care of! I think the result could be very rewarding, though. Best wishes to you. A cat with curls! This is an interesting read here. I've never heard of this breed. It is amazing to me that there is history on the life of one particular cat. They are so beautiful and unique. That is too cute about the cat with his own Facebook and Twitter account! Your hubs are never boring and we learn something new each time you publish. Well, I know I do. Hi, Buildreps. Yes, it is a strange cat. I doubt that Pompous Albert is as brilliant as Albert Einstein, too! Thank you very much for the comment. Well, well, Alicia. Very useful information and quite new and vibrant too. I did not know that much. I have an aversion to pets even though they are so cute, as I feel that they take up a lot of time. But then I'm always busy. Emge wrote a Hub about a writer (full time) who has six horses. Yes, six. God bless her. Your Hub is excellent and your cats explained well. Much Love. Hi, Jodah. Thanks for the visit and comment. I have the feeling that the breed isn't as widely known as some other breeds. It's an interesting cat. Thank you very much for the kind comment and the tweet, Devika! Haha Linda, that was funny to read. What a strange cat! Like a sheep with claws that could use a good shave. Never heard of this breed. This angry Albert type indeed resembles Albert E., although I doubt it is equally brilliant. 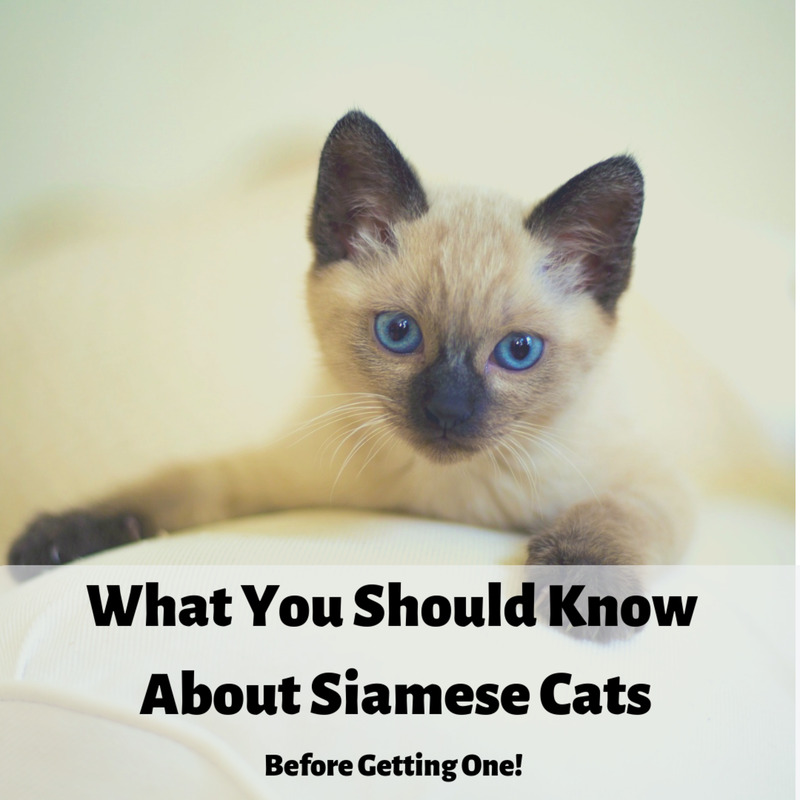 A very comprehensive and interesting hub about a breed of cat I wasn't aware of. Thank you for sharing. Incredible! You write such interesting and informative hubs. New to me and a useful hub indeed! I Tweeted! Hi, Bill. I can understand why Bev would want one of these cats! They are very appealing. Thanks for the visit.